- 136 full color pages with 124 profiles of Me 110, Me 109, Fw 190, Me 262, Ju 88, He 219, Do 17, Do 215 and Do 217. - More detailed and longer historical texts related to each of the profiles included, by far the best I have written. 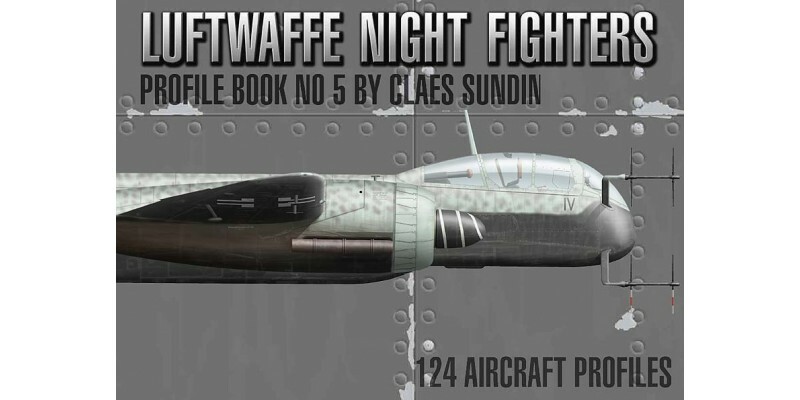 - A chapter about the history of the Nachtjagd (the Luftwaffe Night Fighter Arm). - A very reasonable price, a lot of book for the bucks! The book is a presentation of Luftwaffe fighter aircraft, most of them flown by aces. The book .. 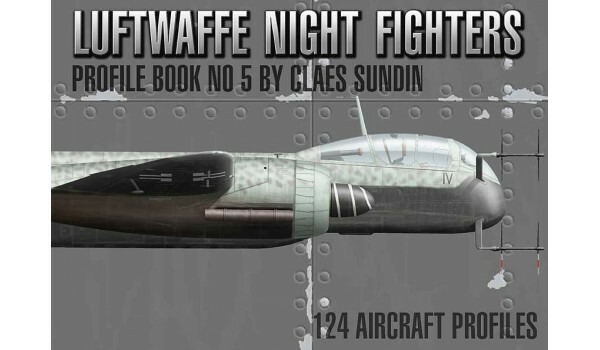 This book presents 124 new Luftwaffe fighter profile, many of them flown by aces. The book has .. The book has 124 stunning new profiles, all made to my latest standard. It has 138 full color p..